Summary: A compound called P7C3 provides both protection for neurons following a stroke and improves physical and cognitive outcomes, a new study reports. P7C3 compound protects mature and newborn neurons in rats, and also improves physical and cognitive outcomes, following stroke. Researchers from the University of Iowa Carver College of Medicine and the University of Miami Miller School of Medicine have shown that a neuroprotective compound tested in rats provides two-pronged protection for brain cells during stroke and improves physical and cognitive outcomes in the treated animals. Every year, nearly 800,000 Americans have a stroke and almost 130,000 die. Survivors often are left with long-term physical and cognitive disability that significantly alters their lives. When a stroke interrupts the brain’s blood supply, mature brain cells (neurons) die. In addition, reestablishing blood flow, known as reperfusion, also leads to processes that cause cell death. A part of the brain’s natural response to stroke injury is to increase production of new brain cells in two specific regions (the subgranular zone of the hippocampal dentate gyrus and the subventricular zone of the lateral ventricles), which normally make a smaller number of new brain cells every day. Unfortunately, the vast majority of these newborn cells die within one to two weeks, limiting the benefit of this potential repair process. Minimizing the loss of brain cells is a primary goal for new stroke therapies. Using rats, Pieper and his colleagues Zachary B. Loris and W. Dalton Dietrich, PhD, tested the effects of a compound called P7C3-A20 on these two aspects of neuroprotection following ischemic stroke. Blood flow to the rats’ brains was interrupted for 90 minutes and then the blockage was cleared allowing reperfusion. One group of rats was given the P7C3-A20 compound twice daily for seven days following the stroke. P7C3-A20 has previously been shown to prevent brain cell death in other animal models of neurologic injury, including Parkinson’s disease, amyotrophic lateral sclerosis, stress-associated depression, and traumatic brain injury. In terms of the brain itself, the P7C3-A20 compound reduced loss of brain tissue (atrophy) and increased survival of newborn neurons six weeks after stroke. In addition to the improved survival of both mature and newborn neurons, rats that received the P7C3-A20 compound for seven days after stroke also had better physical and cognitive outcomes than untreated rats. Treated rats had improved balance and coordination one week after stroke, and improved learning and memory one month after stroke. The findings were published recently in the journal Experimental Neurology. 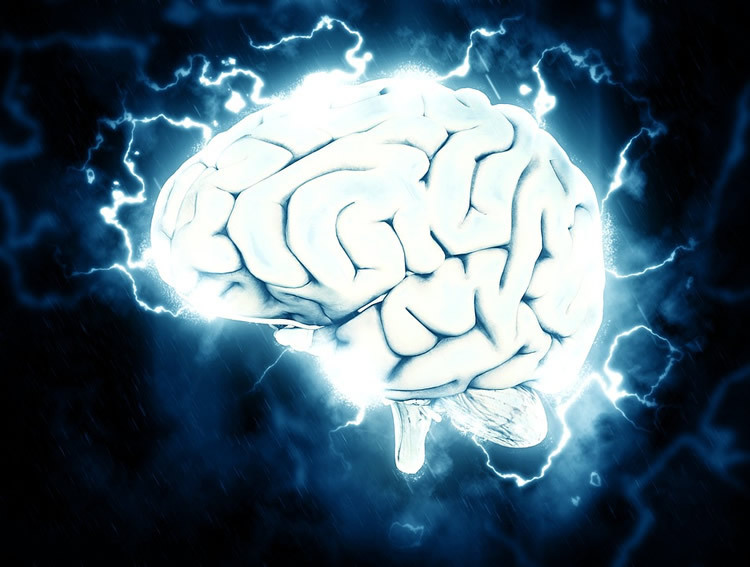 The neuronal protection provided by the P7C3-A20 compound was also associated with a boost in the levels of a substance called nicotinamide adenine dinucleotide (NAD) in the rats’ brains. NAD is emerging as an important player in neuronal health and survival. Levels of this substance are depleted during stroke, and it has been proposed that increasing NAD levels may be a therapeutic target for treating stroke. In this study, P7C3-A20 treatment restored NAD to normal levels in the rats’ cortex after a stroke. Importantly, the study examined the effects of P7C3-A20 on cognitive and physical outcomes well beyond the time of the initial stroke. The sustained physical and cognitive improvement seen in the rats up to one month after the stroke suggests that the P7C3-A20 compound provides a long-term benefit. In terms of the brain itself, the P7C3-A20 compound reduced loss of brain tissue (atrophy) and increased survival of newborn neurons six weeks after stroke. NeuroscienceNews.com image is for illustrative purposes only. “We found we can give the compound in this critical period immediately after the stroke and it has a lasting effect,” notes Pieper, who also is a professor of neurology, radiation oncology, and a psychiatrist with the Iowa City Veterans Affairs Health Care System. In recent years, advances in treatments that break up or remove stroke-causing blood clots have reduced the death rate for stroke and are improving outcomes for patients. The researchers hope that a treatment based on P7C3-A20 used in addition to the clot-clearing therapies might further improve outcomes by protecting brain cells during the traumatic ischemia/reperfusion period. Funding: Funding for this study was provided by American Heart Association, Miami Project to Cure Paralysis, Mary Alice Smith Fund for Neuropsychiatry Research, Titan Neurologic Research fund, University of Iowa, Department of Veterans Affairs. University of Iowa Health Care “Saving Brain Cells From Stroke.” NeuroscienceNews. NeuroscienceNews, 3 March 2017. University of Iowa Health Care “Saving Brain Cells From Stroke.” http://neurosciencenews.com/stroke-p7c3-neurons-6194/ (accessed March 3, 2017). Ischemic stroke is a devastating condition with few therapeutic interventions available. The neuroprotective compound P7C3-A20 inhibits mature neuronal cell death while also increasing the net magnitude of postnatal neurogenesis in models of neurodegeneration and acute injury. P7C3 compounds enhance flux of nicotinamide adenine dinucleotide (NAD) in mammalian cells, a proposed therapeutic approach to treating cerebral ischemia. The effectiveness of P7C3-A20 treatment on chronic histopathological and behavioral outcomes and neurogenesis after ischemic stroke has not previously been established. Here, a transient middle cerebral artery occlusion in rats was followed by twice daily injection of P7C3-A20 or vehicle for 7 days. P7C3-A20-treated rats performed significantly better than vehicle-treated controls in sensorimotor cylinder and grid-walk tasks, and in a chronic test of spatial learning and memory. These behavioral improvements with P7C3-A20 treatment were correlated with significantly decreased cortical and hippocampal atrophy, and associated with increased neurogenesis in the subventricular zone and hippocampal dentate gyrus subgranular zone. Furthermore, cerebral ischemia significantly reduced NAD in the cortex but P7C3-A20 treatment restored NAD to sham levels. Thus, P7C3-A20 treatment mitigates neurodegeneration and augments repair in the brain after focal ischemia, which translates into chronic behavioral improvement. This suggests a new therapeutic approach of using P7C3 compounds to safely augment NAD and thereby promote two independent processes critical to protecting the brain from ischemic stroke: mature neuron survival and postnatal neurogenesis throughout the post-ischemic brain.